Roméo Dallaire's memoir is about his struggle with PTSD as a witness of the Rwandan genocide. 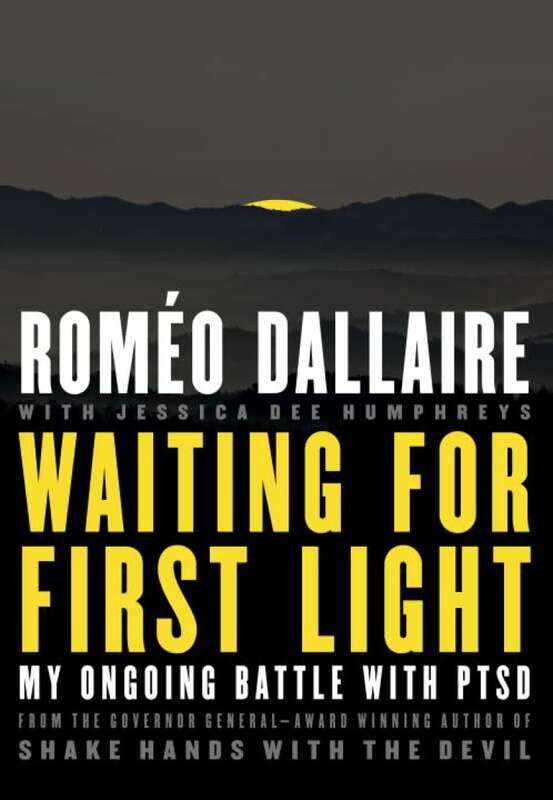 In this piercing memoir, retired general and former senator Roméo Dallaire delves deep into his life since the Rwandan genocide. A pain shot through my arm, from the shoulder right down to my fingertips, waking me. I struggled upright, and squinted through the darkness, seeking the source. A sniper's bullet? A grenade? Years of artillery training and months of war had made me immune to the sound of explosions, so it was entirely possible that I'd missed it. Confused, I tried to attune my senses to the unfamiliar darkness and the curious silence. I was clearly indoors, but this was not my office at the Amahoro Stadium in Kigali. Since the war began, I had slept at my desk, with lights blazing, ready to take immediate action. Three, four hours, tops. The sounds of the deep night — animals rustling, babies crying, the fax whirring machine, the crackle of the walkie-talkie anticipating a call for help from a vulnerable field post, distant (and often not so distant) firefights — these had been the faithful companions of my sleep. From Waiting for First Light by Roméo Dallaire ©2016. Published by Random House Canada.